Donna Gentile (pronounced “Dah-nuh Gen-teel”) performs Americana, folk, world and Native spirit-inspired originals and covers. 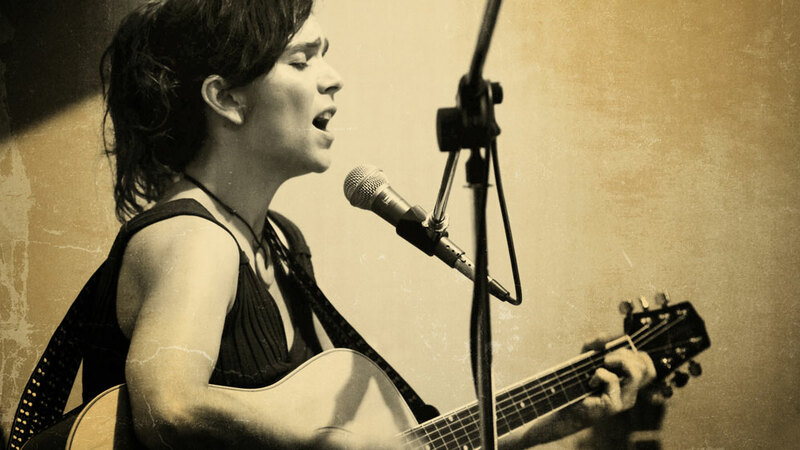 She released her debut “Music is Medicine” EP in September, 2018, which can be found at donnagentile.com and on CD Baby at http://store.cdbaby.com/Artist/DonnaGentile1. Gentile believes music is medicine and has the power to heal and transform. It helped her take back her power after domestic violence and today, she uses music and stories to empower and uplift others. Donna is Italian, Irish, Czechoslovakian, Lithuanian and German, and has strong connections to nature and native (European & American) spirituality, which is evident in her music. There is a velvet, honey and rustic edge to Gentile’s sound. Audiences are moved by her rich vocals, inspirational stories and authentic delivery. Original lyrics are woven with deep meaning and upbeat melodies that haunt and hook. Gentile grew up in Barkhamsted, CT with deep connections to nature, which comes through in her songwriting. As a teen, she wrote poetry and says with a laugh, “it kinda scared the boys away!” With parents singing at home—and a dad playing guitar, mandolin and harmonica—music rooted itself in Donna’s young heart, but she didn’t know she could sing or write songs until she was thirty-eight years old. In 2006, after recording a birth song written in 1999, Gentile’s vocal gift was revealed and Donna Gentile & The Human Element formed with Gentile as lead vocalist playing rhythm guitar. The band performed R&B, swing, Zydeco, rockabilly and roots music and featured seasoned musicians Dan McNamara (vocals, piano, accordion), Steven Fishman (bass), Con Doty (lead guitar), Keith Legere (drums) and guest musicians on lap steel and mandolin. Donna went on to perform solo acoustic and as a duet with Rob (the Drummer) Gottfried at venues and events including Infinity Music Hall, Cheney Hall, Blueback Square, Mandell Jewish Community Center (with speaker, Meredith Baxter of Family Ties), Hope Out Loud Peace & Arts Festival, Legends Rock Bar, Northwest Park Nature Center, Lyceum Conference Center, Annual Walk for the Cure (West Hartford, CT) and numerous festivals, pow wows, restaurants, coffee houses, farmer’s markets, benefits and house concerts in CT and New England. In 2013, Infinity Music Hall selected Gentile as a finalist in their quarterly Open Mic Big Stage competition. 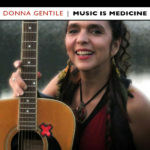 In addition to Gentile’s Music is Medicine EP, which released in September of 2018, Donna’s songs have been published on compilation CDs and in print. This is Me is featured on The Thriver Workbook Companion CD (benefiting programs for victims of abuse) and on Friday Night at LaSalle’s compilation CD (benefiting Canton Community for Concern’s addiction recovery programs). River Song for Kira, inspired by Cherokee tradition, was published in Voices Along the River: An Anthology of Nature Poems produced by the Connecticut DEP, Kellogg Environmental Center and Osborne Homestead Museum. Both tunes (This Is Me and River Song For Kira) are also featured on Gentile’s debut Music is Medicine EP. along with An American Song (for veterans), I Do and Crossing Over. Gentile has twenty original tunes, five of which are featured on her Music is Medicine EP, which was recorded at Symplicity Studio in New York. To purchase a physical CD, visit donnagentile.com. To purchase the digital album or digital singles, visit http://store.cdbaby.com/Artist/DonnaGentile1. In addition to being a musician, Donna is a graphic, brand and web designer, arts provider and mother.